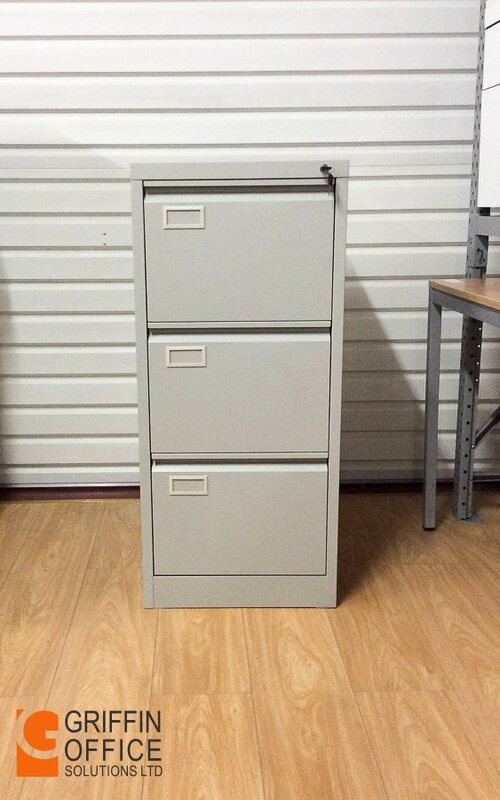 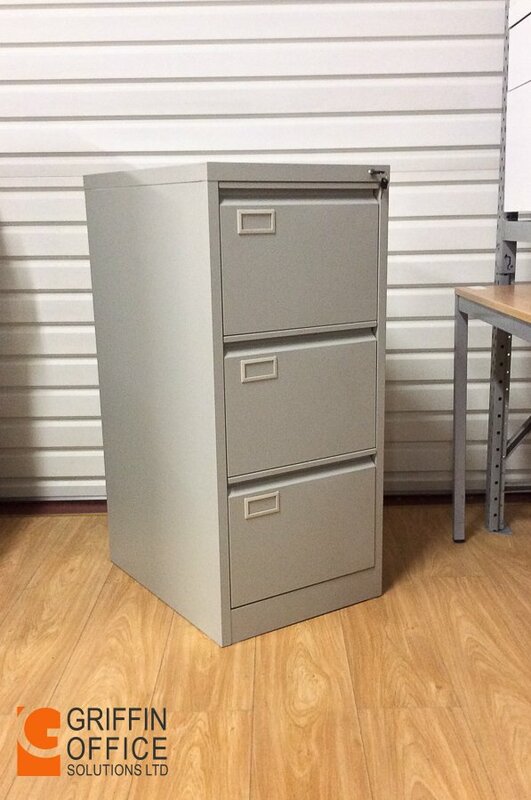 This Three Drawer Filing Cabinet is the perfect addition to any home or office. 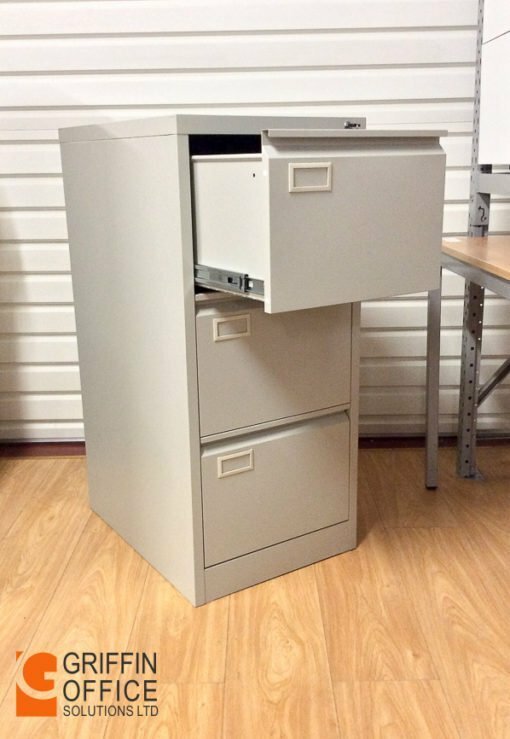 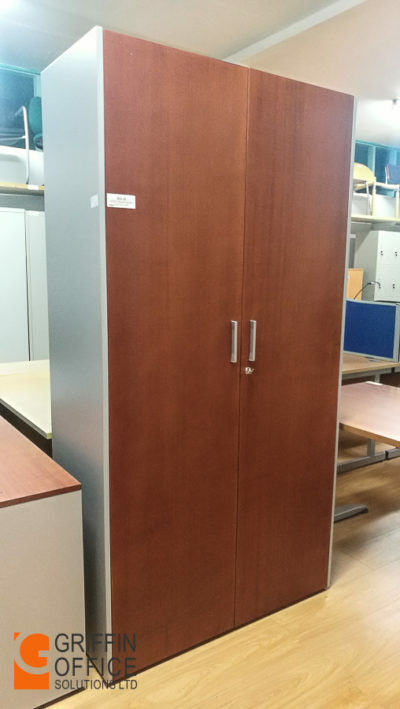 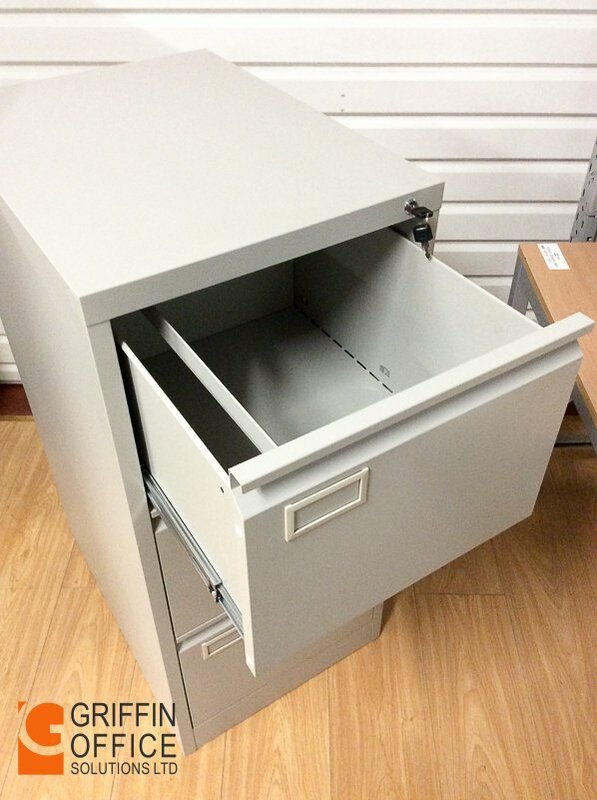 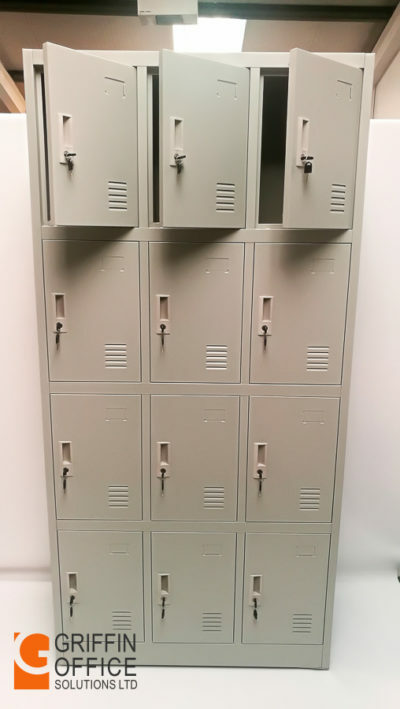 This solid steel filing cabinet is built to last and offers plenty of space to suit your filing needs. 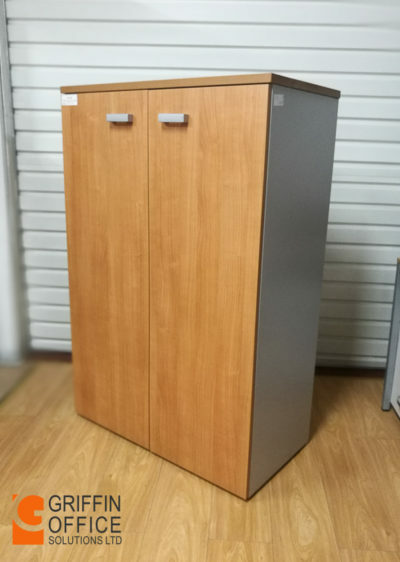 The clever anti-tilt mechanism prevents the cabinet from tipping over and the ball bearing runners allows the drawers to open and close with ease.